Hermès is celebrating its 175th anniversary with the opening of an exhibition entitled “Leather Forever” at the Royal Academy of Art in London. Managing director of Hermès Thierry Outin explained the fashion house’s choice to put on this exhibit saying, “We are celebrating our 175th year, it’s the Queen’s Jubilee and the Olympics and Hermès wanted to be part of this cultural festival and stage our own event.” The exhibit held in the Royal Academy’s Burlington Gardens galleries features handbags, saddles, and bespoke leather goods that highlight the labels incredible craftsmanship and artisan detailing that has evolved through the years. The exhibition covers 12 rooms, taking visitors through a historical tour of the almost 200 year old fashion house, beginning with a library of skins used in the creation of their goods. 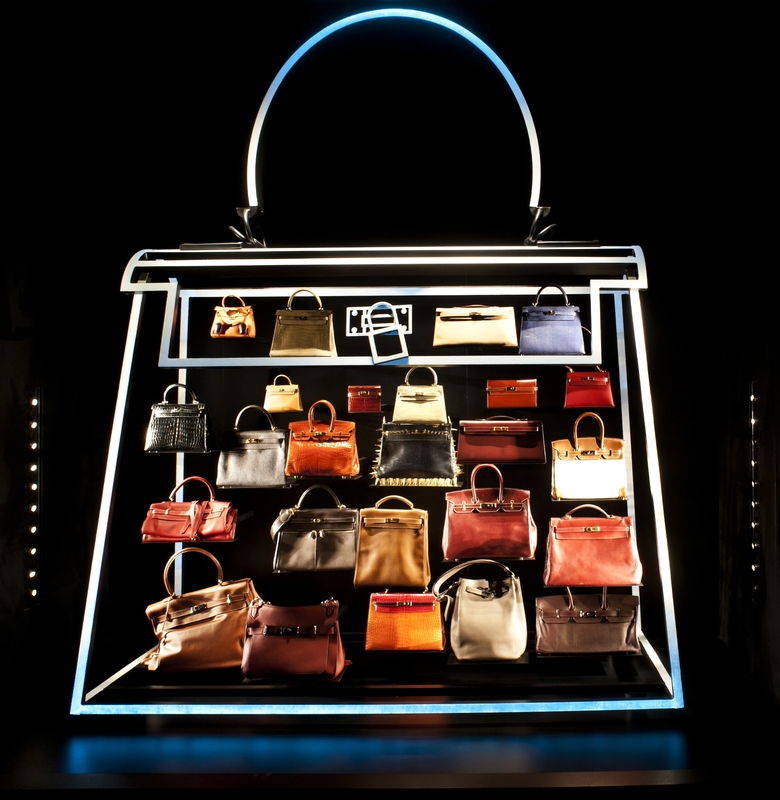 The presentation emphasizes the huge impact the label has made in the world of handbags, highlighting two of Hermès most iconic bag designs the Kelly, named for Princess Grace Kelly, and the Birkin, designed for Jane Birkin who wanted a bag big enough to fit all of her possessions inside. The exhibit also explores Hermès origins as saddle makers, showcasing both original pieces from the 18 and early 1900s, as well as highly ornate custom saddles. There is also a room where visitors can actually watch craftsman from the company’s atelier in Paris creating each leather good by hand. Every Hermes bag is made from start to finish by one craftsman who signs their name in an unseen place on the bag when they’re done. The show even includes a room of custom, one of a kind, Hermes items, featuring a black patent calfskin wheelbarrow commissioned by the Duke of Windsor for Wallis Simpson in 1947, and a sartyr-winged saddle in vivid orange, yellow, and red. The exhibition concludes with four Passe-Guide handbags created specially for the exhibit meant to represent England, Ireland, Scotland and Wales. The bags will be auctioned off, along with leather goods from the Hermès Fall 2012 collection, online at Christie’s from May 14 to May 31, with all proceeds being donated to the Royal Academy of Arts.